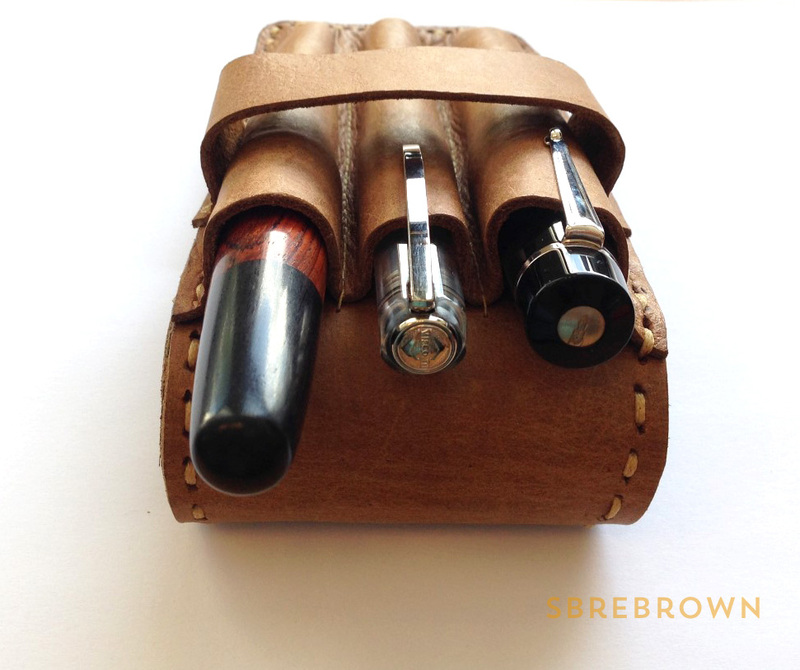 Jacqui from Leather on the High Street sent me one of her handmade leather pen pouches. 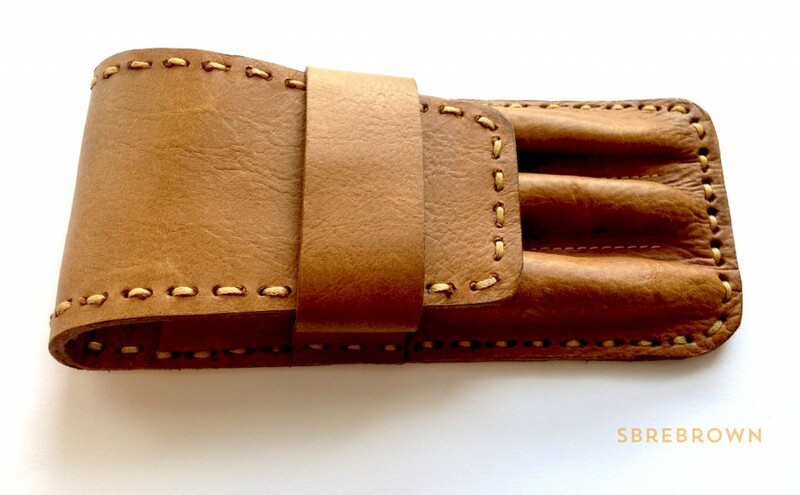 These pouches can be made to size, and they are all handmade in the UK from high quality leather. 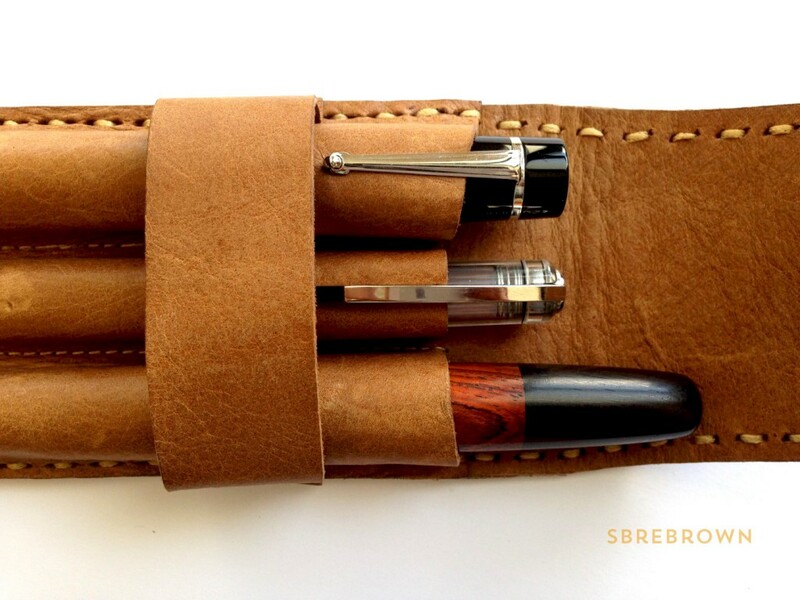 I was impressed by the pen pouch’s size and ability to accommodate larger fountain pens. 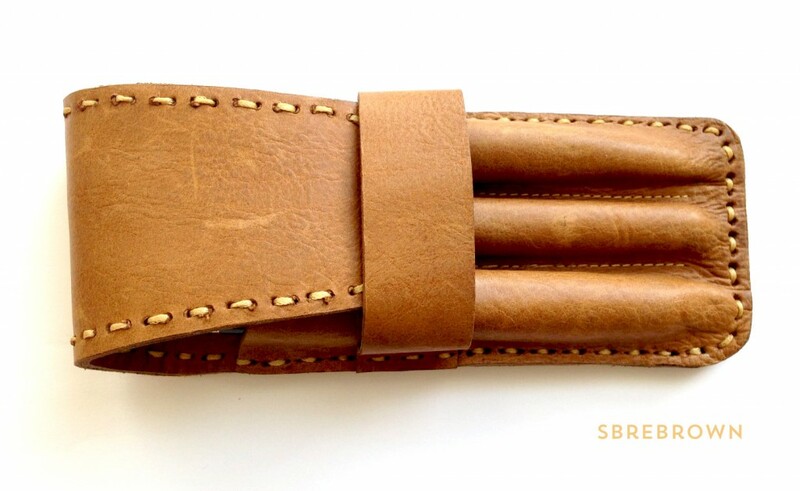 Watch my video review and check out some pictures of the pen pouch below. 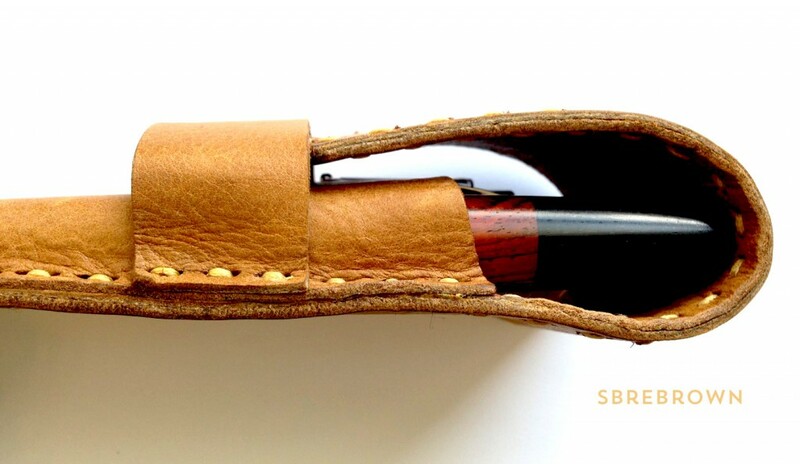 Schweizer Cocobolo Handmade fountain pen, Visconti Opera Crystal, Delta Dolcevita Oversize. Closed flap from the side. 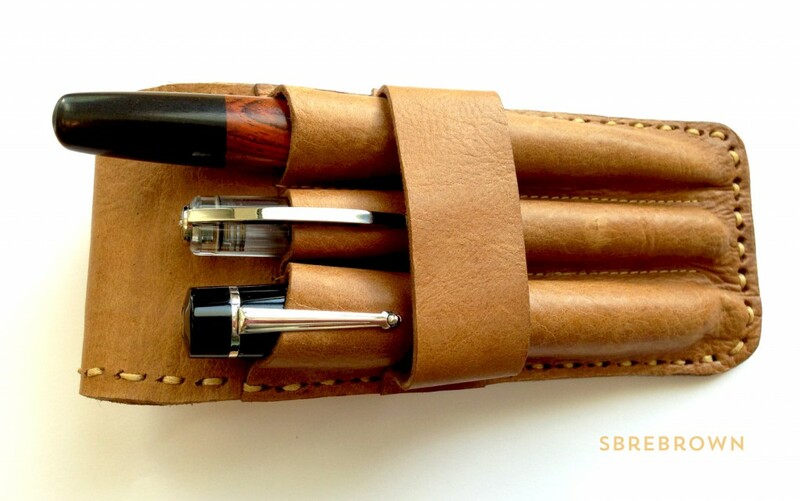 Enough space to slide pens into! 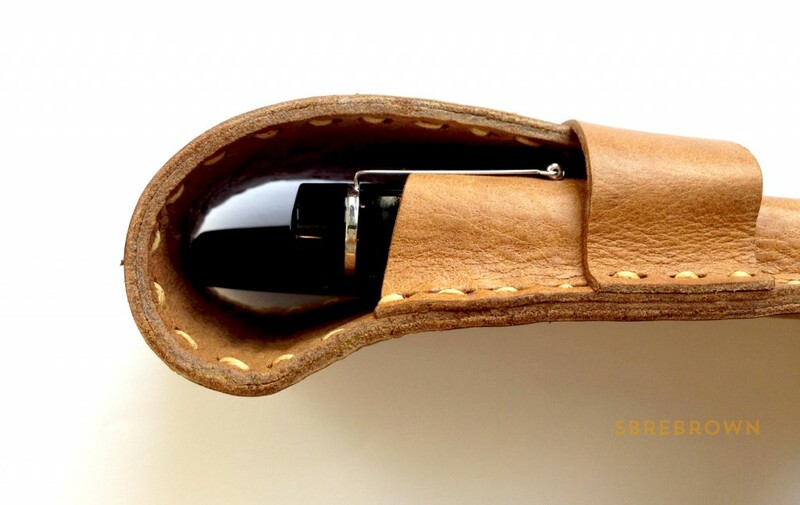 This entry was posted in Reviews and tagged Cases, Delta, Fountain Pens, Handmade, Leather, Reviews, Visconti on August 15, 2014 by Azizah Asgarali.